As a parent, when I'm out with the kids, I'm always looking for things nearby that would be helpful. It could be a playground, it could be a restaurant with food they'll eat, it could be a restroom or changing station (well, the changing station days are gone for us, but bathrooms are always in need). It could be that we need pick up a few groceries and aren't in our part of town. My smart phone browser is helpful to an extent, as is Yelp, Open Table and a variety of other sites. But one that's kid-oriented with everything in one place is most helpful. One with user reviews and location services enabled. 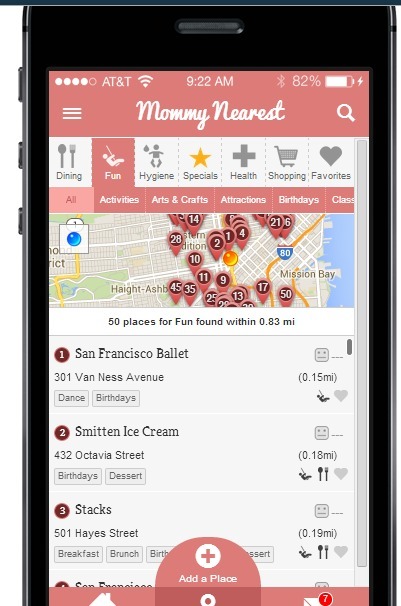 I found that in Mommy Nearest, a free app now launching in the San Francisco Bay Area. 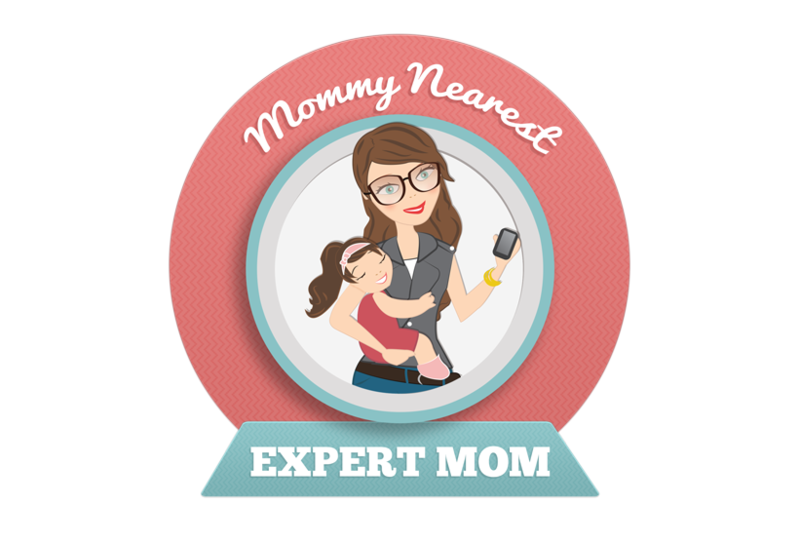 Mommy Nearest brought me on as one of their Expert Moms, to spread the word about their site launch in San Francisco and to contribute locally to their Mommy Nearest Magazine (you can read it on line for free). How it works. Download the app and create an account. Allow it to use your location so it can more quickly and accurately pull up the places close to you. If you don't want to use your location, you can type in the location you want to search using the search bar - click on the magnifying glass. You can see they offer a bunch of categories, including dining, fun, hygiene, specials, health, shopping and favorites (so you don't lose the places you like). Under hygiene, you can find diapers, changing tables, feeding supplies and bathrooms. 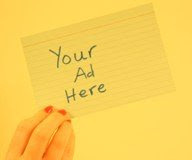 And you can add places that aren't there as well as comment on places that are - give your opinion. Please check it out, by downloading it for free in iPhones, iPads and Android devices. I'll be posting my Mommy Nearest articles here as well. By the way, this looks nothing like me. and my skin color is similar.